People are often told to form their LLC in Nevada, Delaware, or other states. This usually just results in increased fees, and is actually a legal mistake. Once the mistake has been made, people often do not know how to move their LLC to where it really should be. There are several options available for moving LLCs, depending on what state your LLC is formed in and where you want it moved to. If you have an LLC or corporation that is formed in one state and it is doing business in another state or owns property in another state, the LLC or corporation has to be registered in the state where it is doing business or owns property. This doesn’t “transfer” the company out of the state where it is registered, it just allows the company to do business and own property in the second state. The company will be considered a foreign company doing business in the state. This allows you to leave everything the same in the state where the company is filed or “domiciled.” You will have to pay yearly fees both in the state you are doing business and in the state where your LLC is domiciled. There also may be taxes and registered agent fees that you will have to pay in both states. This option may not be worth the expense. Another option is to dissolve or cancel your LLC in the state where it was originally filed and create a new LLC in the correct state. This will allow you to avoid having to pay fees in two states. The problem with this solution is that you will lose everything you have already set up with your old LLC filing and have to redo it all with the new LLC. This may include things like getting a new EIN number, rewriting contracts, and settling debts. If there is debt in the company, you have to be very careful not to trigger unexpected tax consequences when you shut down a company. You may even be required to pay off the old LLC’s debts before you can dissolve it. This can cause some headaches if you are trying to keep your business the way it currently is. One of the best options for moving an LLC is called domestication. Unfortunately, not all states allow for domestication. For the states that do allow for domestication, you simply get a domestication form from the new state’s website, fill it out, fill out an article of organization/certificate, and pay the fees. Once this is done, you can then cancel the LLC in the other state where the company was originally formed. Everything that you have set up with your old LLC will automatically carry over to your new LLC. If you live in a state that does not have domestication procedures, the process is a little different. To make the move, you are going to have to go through a merger process. To do this, you will need to create an LLC in the state were you want to move your LLC (this would be the state where you are conducting business). You will then merge your old LLC with the new LLC and have only the new LLC when the merger in complete. The exact process can be different from state to state, but generally you will have to create a merger plan that is approved by the LLC members. Different states have different requirements for what has to be in the merger plan. You will then file articles of merger (which will contain the merger plan) with the state were the old LLC was formed. This will in effect dissolve/cancel the old LLC and merge it into your new LLC. I am wondering if you know how my home state of California might dovetail with doing business in Ohio or Kentucky. Are you aware of the above details for those two states without having to spend extra time? And thank you for pointing all of these factors out. I have not yet done any business in the mid-West, as my brother there has not been well, but I think I will be doing that by May, hopefully. Have not formally set up LLC in CA yet either. Do you do that, for California, or would it be best for me to do that myself with someone here? Yes, we are aware of what you would need to do if you live in California and do business in another state. It could be complicated, but you will need to form an LLC in that state and have the LLC registered in California (or create it in California and register it in the other state). Please give us a call at 801-802-9020 so that we can discuss your specific needs. If my LLC registered name in my old state is already taken in my new state, what do I do if I can do the domestication you referred to? My registration in my old state is expiring in 3 days. Should I just go ahead, renew, and somehow proceed? How would I do that? If you want to register your current LLC as a foreign entity doing business in another state, the form to make that filing in the other state will ask what name you want to do business as in the other state. You can’t use the same name if it is already taken in the other state. The form will ask you what name the business is registered under in the state where it was created. At that point you are basically doing business as (DBA) with the new name in the foreign state. For example, if the name of your business is ABC LLC, in the new state you would be ABC LLC DBA NewABC LLC [new name of the DBA you will use]. If you want to actually move the company to the other state, you will have to use a new name. I have a real interest in relocated my LLC from Delaware to NC. I have checked and both states permit or recognize domestication (DE)/conversion (NC). I originally prepared my LLC through Legalzoom (your favorite) several years back, but in reviewing the submission documents for NC they are identifying that I need to send Articles of incorporation and include articles of conversion (NC). Would you consider this to mean my original articles of incorporation (Delaware) need to be sent to NC or would I need to prepare new articles from the CDs I purchased from you, Acc & Pres of wealth and asset protection package? What is typically included in articles of conversion? What information would be included in a plan of conversion? I would like to accomplish this exercise myself, but I am also beginning to believe it may be over my head. I would really appreciate any direction or clarification you offer. The articles of conversion on North Carolina Secretary of State’s website is not actually for moving the LLC from another state to NC. Those articles of conversion are for if you are moving an LLC from NC to another state. As far as I can tell, you are going to have to follow the merger process. We have a Corporation what do I have to do to change it over to a LLC? If we decide to keep the corporation how do I make sure the bylaws are good enough for protection? 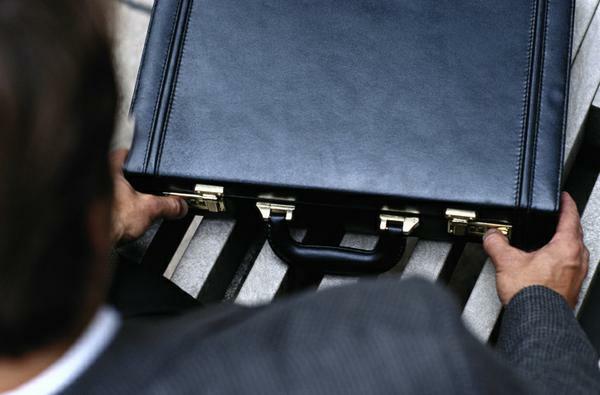 Changing a Corporation to an LLC depends on your state. Some states require that you create a conversion plan which must be approved by the share holders. You then file a form along with the plan with the state and convert the Corporation to an LLC. 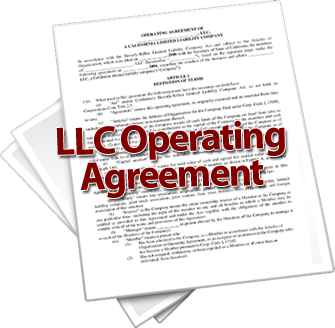 Other states require that you create the LLC first and then move your corporation into the LLC. 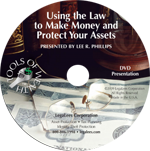 Some states just have you create a new LLC, transfer the assets from the corporation to the LLC, and then liquidate and dissolve the corporation. If you decide to keep the corporation you will need to check the bylaws and make sure you are following them. It’s not necessarily what is in the bylaws that provides the protections. Your following them provides the protection. Now if your bylaws are only 5 pages long then you may want to consider getting some new bylaws.